What applications will you technology work with? The sky (or sun) is the limit! Our technology can be adapted to work with almost any system that involves water heating and/or evaporation. Water purification, water generation, shipping, mining, artisanal salt crafting, waste water reduction, water heating systems, and more could all use our technology. What makes your product better than other methods of water purification? The most common technology for water purification is reverse osmosis. However, this process requires large amounts of electric energy and results in significantly larger amounts of residual water with higher concentrations of contamination. 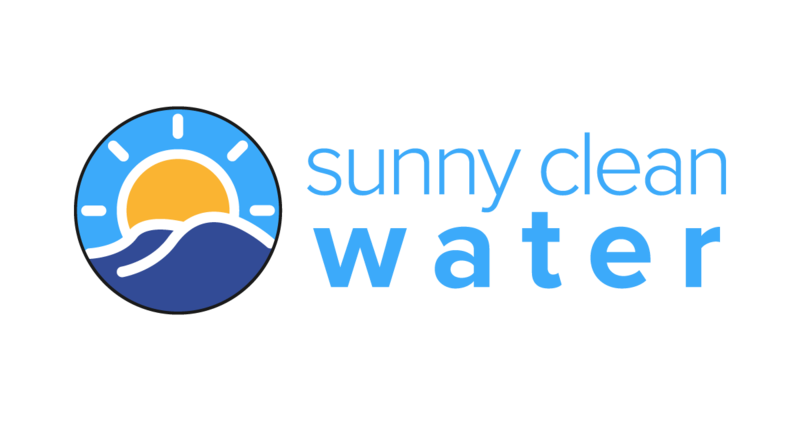 Sunny Clean Water’s technology uses only solar energy to distill water, meaning we can run in off-grid areas. Additionally, compared to the current leading commercial solar stills, our water collection rate is up to 3 times faster. How much water can you product with your technology? Currently, we can distill at rates of approximately 1 kilogram per hour per square meter. In other words, 1 square meter of contaminated water under full sunlight will produce 1 kilogram (~4.2 cups) of clean water after one hour. And dependent upon the scenario, engineering optimization can produce even higher rates. Is your technology practical for use in third world regions with water contamination? Yes! The basic need for an individual is 2 kilograms (8.5 cups) of water per day in hot conditions. With 8 hours of sunlight, our technology can generate between 5 to 8 kilograms of water. That’s enough to meet the survival needs of a family! Can I test your technology? Yes! We are actively looking for collaborations and projects with which to implement our technology. Please contact us to start a conversation! Does your technology work when its cloudy? It sure does! While our heating and evaporation rates are most efficient on sunny days, the technology can also work on cloudy winter days, howbeit at a slower rate.